When I catch a glimpse of my shadow I see my own opacity; I’m reminded that the light doesn’t pass right through me. I’d like it to. I’d love to be so transparent that I don’t get in the way of the light, of love, of truth, of peace. I’ve had moments, glorious nanoseconds, when I’m sure the light had so saturated and infused me that there was nothing but light. Nanoseconds. But mostly it’s just me, and my shadow. And if the fleeting years between boy and man have taught me anything it’s that making friends with my shadow yields a happier life than pretending it’s not there. 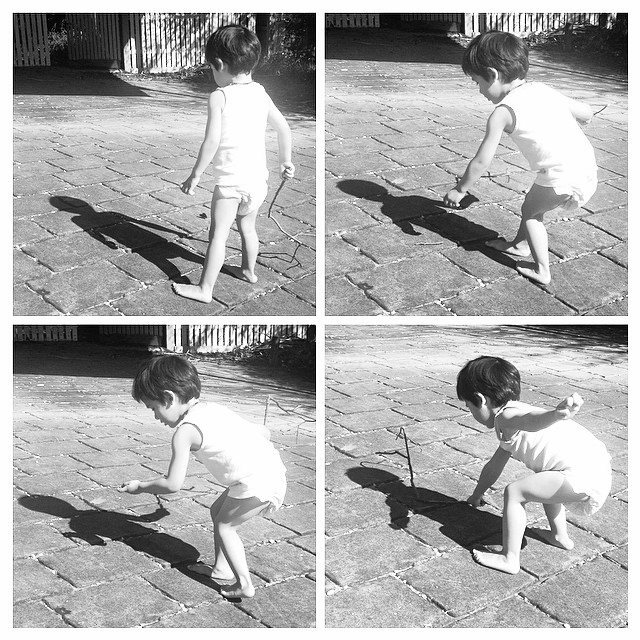 Image – Izaiah chasing his shadow, by Kirsty Soo, 2014, used with permission.